HANNAH JOHNSON & THE BROKEN HEARTS: On this record Ms Johnson delves deep into her influences of old country, the blues and honky tonk music. The choice of material is imperative to Hannah, who has spent a long time studying the vocal styles of country greats such as Faron Young, George Jones & Ray Price. At a time when it is fashionably cool to be “americana” and dressing “vintage” is de rigueur, it is easy to feel tired of the cliches around the modern country scene. Much of the music coming out of Nashville today seems to be either watered down country pop, or stylistically affected Americana with chanted choruses and stomping bass drums. However, there is also reaction against these extreme ends of the industry machine and artists like Hannah Johnson are approaching their music with a refreshing honesty and commitment to the core principles of ‘old’ country music, celebrating the heritage and history rather than diluting it. Undoubtedly spending so much time in Austin, Texas has influenced her immensely, as the music she is making falls much more under the bracket of what Dale Watson is doing with his “Ameripolitan” genre than the new country from Nashville. 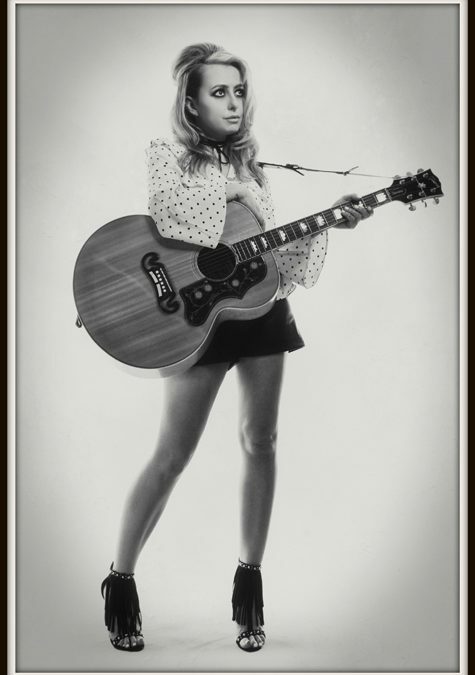 Hannah sings classic country songs about drinking and heart ache straight from a Honky Tonk, her sultry and smokey voice taking on the likes of Patsy Cline, Skeets McDonald and Willie Nelson. But what also cannot be ignored in her voice is the strong influence from the blues, as exemplified on her cover of an old Charlie Patton number and her powerful rendition of ‘Trouble In Mind’. The stand out tracks however, are her own compositions, ‘Your Girlfriend Hates Me’ could perhaps be seen as a modern, less aggressive take on Loretta’s “fist city”, clearly placing relationships between women at the centre of her experience, and proving not always easy being the only girl in the band. ‘Morning Cocktail’ then takes her in a more soulful and reflective direction, lamenting a highly destructive lost love, the dangerous numbing qualities of alcohol, while demonstrating her vocal prowess. ‘Nowhere Train’ immediately hits an infectious country groove, delivering classic twangy telecaster and providing a strong catchy chorus as the album’s opener. Ms Johnson’s fans include Imelda May, Robert Plant and Ronnie Wood, indeed Hannah and her band provided the entertainment for Ronnie’s recent 70th Birthday party.